Celebrating its 28th year, the King Mango Strut went off without a hitch, but with lots of parody, slapstick and vaudeville level humor... as expected. 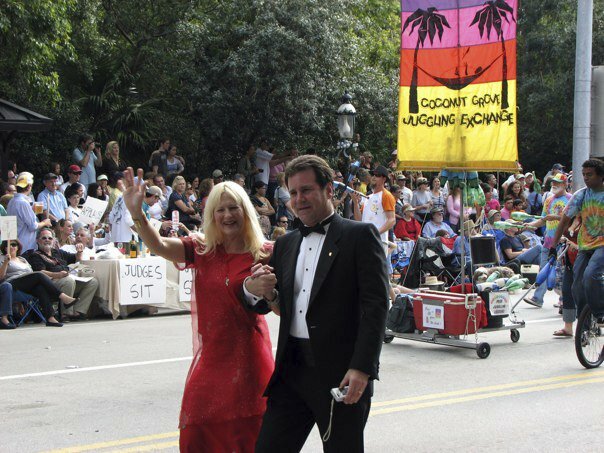 Despite having a grand marshall, this is not your traditional parade. Far from it, actually... My wife had been to prior King Mango Strut parades, but this was my first, along with the kids and my parents. Despite some off-color words and situation, everyone had a good time and could enjoy some aspect of the fun that unfolded in front of us for just over an hour. 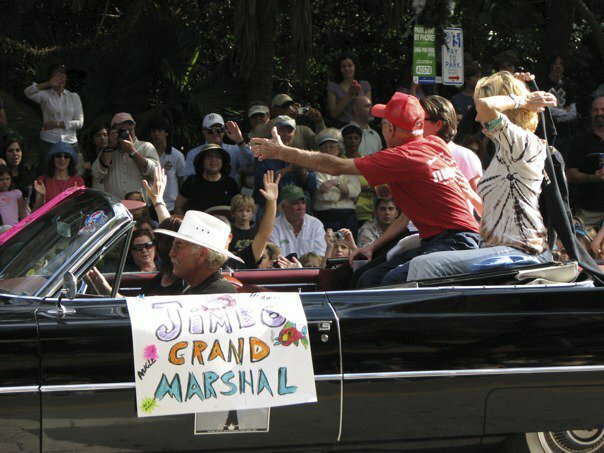 Performed on Main Street in "downtown" Coconut Grove, the annual tradition allows nearly anyone or any group to poke fun at politics and topical events. This year's targets included Sarah Palin, Tiger Woods, the health care bill, balloon boy and those White House party crashers (Tareq and Michaele Salahi). The crowds not only enjoyed the parade, but stuck around for some local bands and the restaurants in the area. With near perfect weather, what's not to enjoy? So, if you are a Miami-area resident or a tourist down for the winter holiday season, don't miss this free, fun event held each year between Christmas and New Years. Their website provides lots of fun history. I'll be sure to be there next year...how about you?